Drum roll please. Have you heard of the etsy shop Fabulously Vintage? Well if you haven't, you are in for a treat! 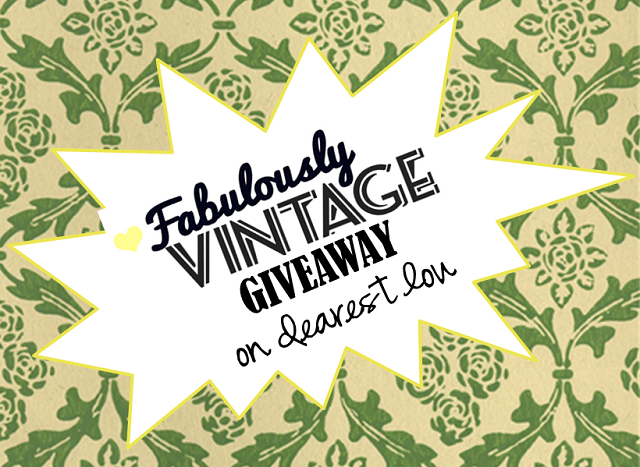 The lovely Shannon owner of Fabulously Vintage is offering one lucky Dearest Lou reader a $30 credit to her shop! 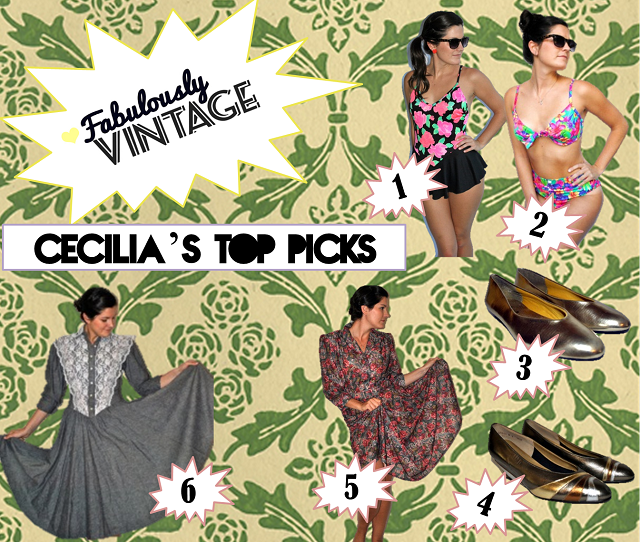 Fabulously Vintage has some of the cutest vintage pieces on the web and I know all of you vintage lovers will adore everything! Contest is open worldwide. One lucky winner will be selected and notified via email on September 4th. Thanks friends and good luck! Congratulations Jessi, I will be contacting you in the next little while so look out for my email! As for everyone else, thanks so much for entering and supporting my blog! There will be another great giveaway shortly. I love these shorts! Just too cute! The cream striped pencil skirt is so cute! !